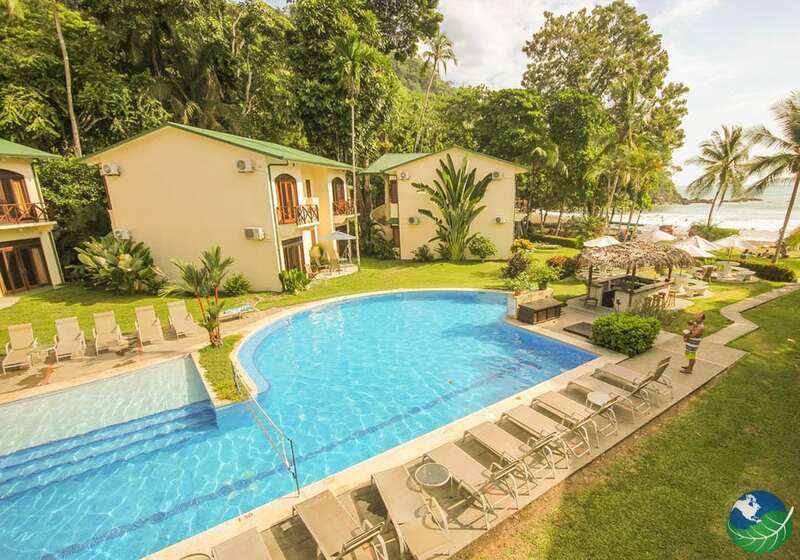 The Hotel Club Del Mar Costa Rica is located on popular Jaco Beach. Right in the province of Puntarenas, only 90 minutes away from San Jose. Although it is hidden away in a small cove on the southern end of the beach, it enjoys a peaceful environment. Also surrounded by rainforest and wildlife. Jaco’s well known for its extraordinary array of restaurants and wildlife, for its surfing and its nightlife. 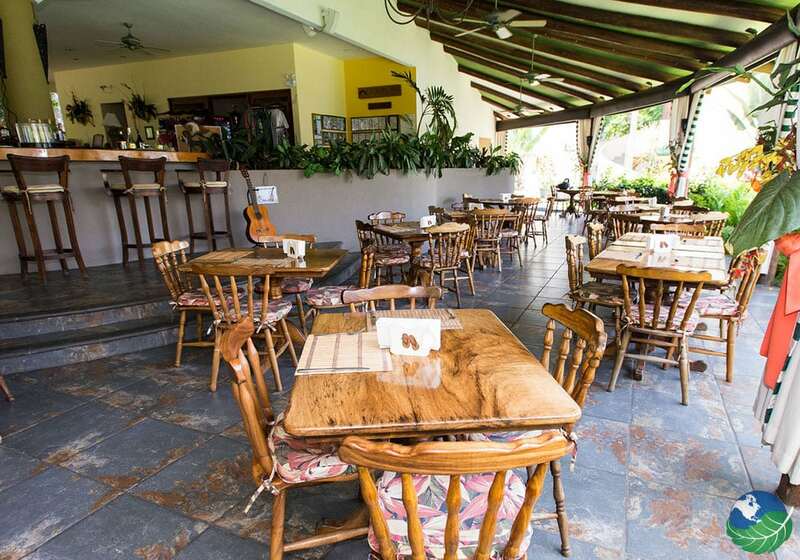 Known as one of the best Hotels in Jaco, it has a pleasant atmosphere and offers plenty to do regarding exploring. This is your best bet in Jaco offering the best of both worlds. The peace and tranquility of the seaside and jungle with rocking nightlife! 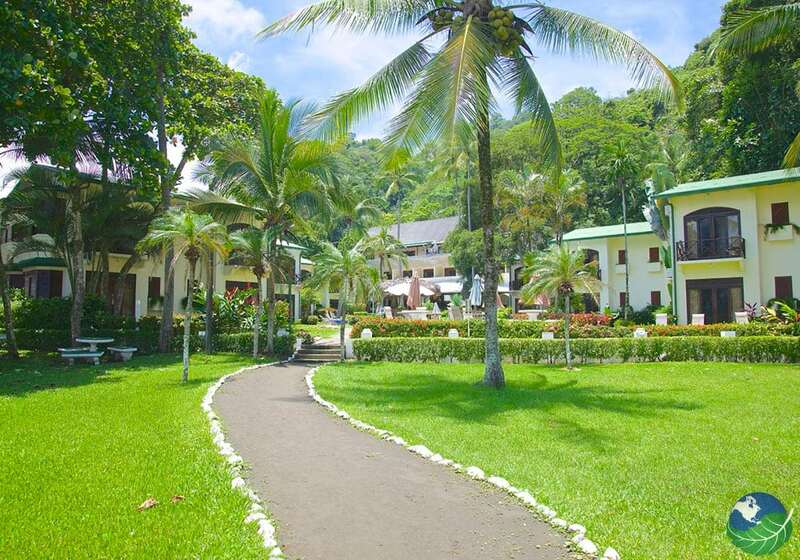 The Club del Mar Costa Rica has many tours and activities to offer. Sports fishing is a specialty of the hotel that works with the best operators in Jaco Beach and Quepos. Both inshore and offshore fishing are available. Surfing is fantastic in Jaco and at the adjacent Playa Hermosa, 5 minutes south of the hotel. Too, you can take surf lessons if you are a beginner. Go on a rainforest canopy trip, and explore the untamed jungle, while admiring great views of the Pacific Ocean. Go on a zip-line tour, or explore the beach and its surroundings on horseback. We also offer ATV tours and fabulous Tours to Manuel Antonio and its famous National Park. Closer to the hotel, we also have tours of the Carara National Park and Biological Reserve. Or maybe go on a sunset cruise on one of our Calypso Catamarans. 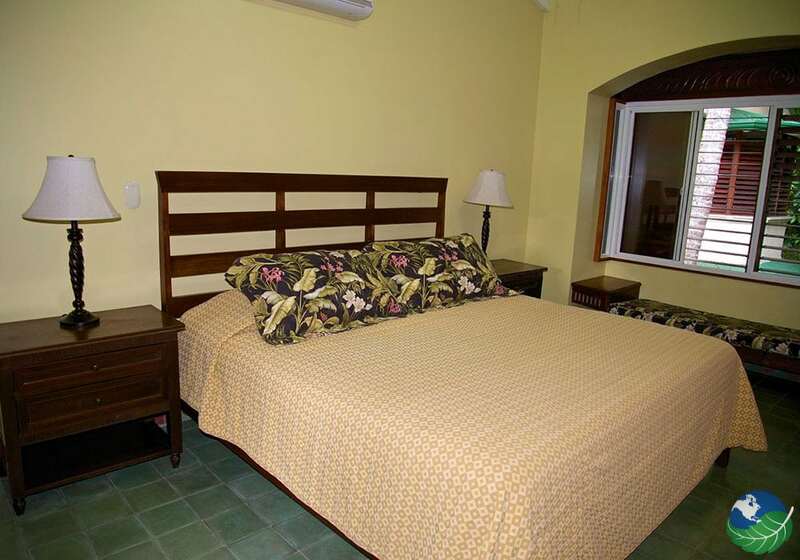 The accommodations of the Club del Mar Costa Rica are designed to take advantage of the sea breezes. Take in the endless views of the magnificent ocean, all at the most popular beach in the province of Puntarenas. The balconies are strategically set to allow for the best views of the daily sunsets. The rooms and the condos all come with full kitchens complete with microwave, coffee maker, stove, fridge, and utensils. 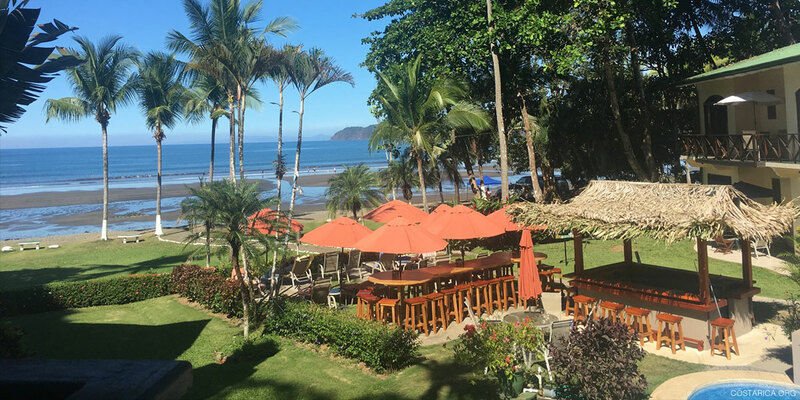 The Club del Mar Costa Rica is, without the doubt, the best option in Jaco beach. While you can take advantage of the amenities of Jaco Beach with its amazing array of restaurants, bars and lounges and its great shopping facilities. The hotel’s located right at the end of the southern end of the beach. Far away from the crowd, in a secluded cove, with a large ocean side swimming pool. 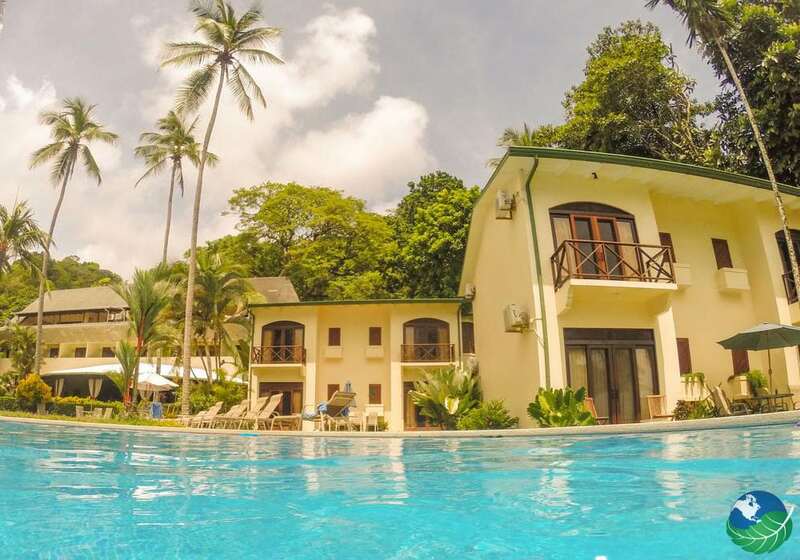 Also, space for games such as volleyball, and a small connecting pool for the kids, all surrounded by vibrant tropical gardens. 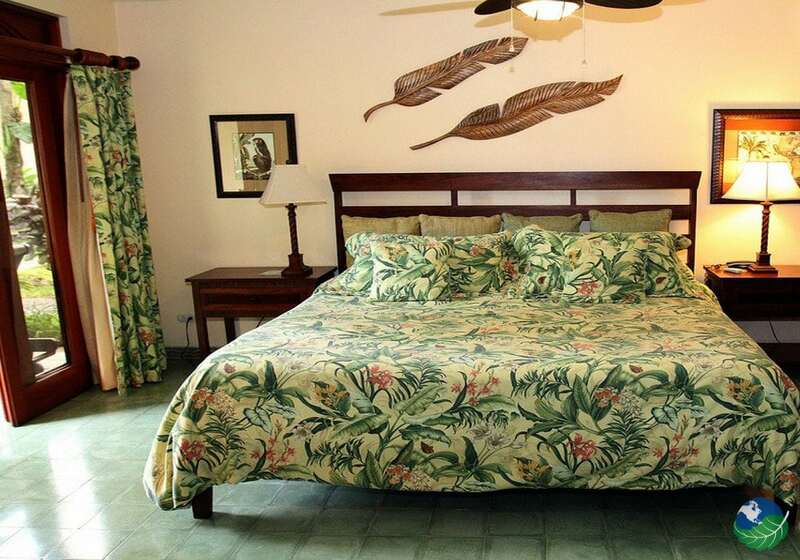 The Club del Mar Costa Rica is a welcoming and charming hotel that will offer you a lovely relaxing time. You can relax at night under the starry sky on the Pacific Coast.